Just mention the word Indianapolis and it conjures images of auto racing. We now have to add Brownsburg Indiana to the list of major racing cities. In the April 2007 issue of National DRAGSTER The Indianapolis suberb of Brownsburg was dubbed the New Drag Racing Capital of the World . David Powers Motorsports, one of the National Hotrod Associations leading top-fuel drag racing teams, has announced it will relocate it s Houston based headquarters to Brownsburg. The race team will invest more than 3 million dollars to locate a 30,000 square foot facility in Brownsburg, housing their headquarters, garage and a testing facility and create 42 jobs. 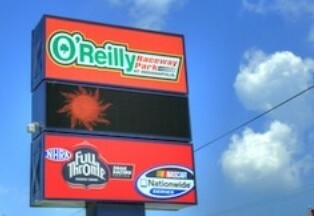 This is perfect timing as we we head into this weekends NHRA Nationals at Indianapolis O Reilly Raceway Park. Rod Fuller of David Powers Motorsports leads the Top Fuel points standing heading into this weekend. What better way to continue the image of Indianapolis as the motorsports capital of the world. Get out to IRP this weekend, enjoy the races and extend a warm welcome to the newest members of our community. I've never been to a drag race but I bet it is fun. On a trip to MI we stopped off in Indy and toured the speedway. Seems fitting to have the €œNew Drag Racing Capital of the World € in the area.